I woke up early this morning to finish this book by Daphne Du Maurier, perhaps not as well known as Rebecca this is definitely a worthwhile read. The story concerns John, a British tourist, disconnected and discontented wandering France on his vacation. A professor of history he realizes that he has no connections to real people or the real world. His life is boring, sad, and lonely. A chance meeting sets off a chain of events that will certainly make his life less boring. He meets Jean, his doppelganger. The two men are initially shocked and set off have drinks to discuss this strange meeting. Jean is overwhelmed by his life and takes the opportunity to make off with John’s identity and leave John to face the consequences. Rather than wallow, curse or even report the identity theft to the authorities, John steps into the French Jean’s life and for the first time connects to people and to life itself. The story was well plotted, revealing the intricacies of family, history, power plays, and forgiveness. The language was descriptive and pulled the reader into the scenes with an excellent sense of place. John, as a man finding his way, showed growth over the course of the book, leading the reader to root for this new better “Jean” and his family. Many of the secondary characters have their own scene stealing moments. 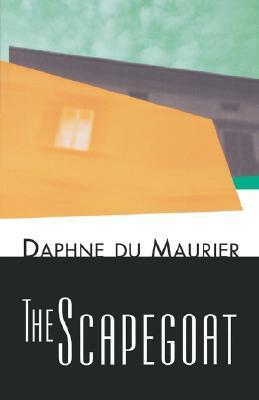 You can’t go wrong with DuMaurier. I have enjoyed several of her books but have not read this one.